The serverless cloud provider was last year – what can we expect to change? Not all infrastructure trends will make sense for your data center or your business. However, awareness of the trends will help you understand how other firms are developing their data centers and handling their workloads, so you can best position your organization for the future. Reno-based analyst Synergy Research Group released a review of the 2017 cloud market on January 4th. The report, which estimated the total scope of the industry at $180 billion, gauged the year-over-year growth rate of infrastructure as a service (cloud hosting) and platform as a service (combined cloud hardware and software) at 47%. Such astronomical growth in the infrastructure of cloud is fueling growth of data centers. The extent to which cloud is becoming the new form of infrastructure cannot be overstated, with Cisco predicting 95% of data center traffic will be through cloud infrastructure by 2021. Other forces are at play as well. Here are some of the top trends that will dominate as the data center sector continues to expand, including a closer look at the transition to third-party infrastructure. In 2018, geo-planning will be a key aspect of strategizing for IT executives – who will be prompted by regional and worldwide network access, location-specific workloads, the General Data Protection Regulation (GDPR) from the European Union, and other factors, according to Gartner. The critical goal is not to be the owners of worldwide infrastructure but to instead create the infrastructure through strategic alliances with outside entities who also give them access to infrastructure support and integration with numerous networks. Converged infrastructure (CI) and hyperconverged infrastructure (HCI) are geared toward solving difficulties surrounding scalability, management of data, and the isolation of silos of information. Beyond solving these issues, CI and HCI are also routes to flexibility. These technologies are being implemented in diverse settings and by a broadening spectrum of organizations, according to IDC's Eric Sheppard. The increase in converged systems "is driven by products that are offering new levels of automation, tighter integration between technologies, and, in many cases, software-defined solutions based on scale-out architectures," added Sheppard. While the moves taking place within enterprises and the continuing emergence of cloud are central to discussion, it is next-generation approaches and systems that will be assessed by IT leaders for possible projects. These niche areas include robotics and genomics, self-driving cars and drones, cryptocurrency and blockchain, and the Internet of things (IoT). There started to be more workloads launched in 2017 focused on AI. These projects are power- and storage-intensive. Another area that is currently becoming more prevalent is chemical and biological research performed through computation of data sets. Neither of these types of workloads were present just a few years ago. Data centers have shied away from liquid cooling due to concern about potential spillage. Today, this method of cooling is becoming more credible: proponents say that water offers hundreds of times greater efficiency than air does and is well-suited for huge server chips that have as many as 32 cores. Data centers will still have a difficult time convincing their customers that this method is safe. For the InformationWeek / Interop ITX State of Infrastructure Survey (released October 2017), just onein 20 IT decision-makers said that they thought their companies’ expenses on computing infrastructure would be lower over the next 12 months than it was during the previous 12 months. The largest portion of respondents (45%) said that their budgets would be larger. Meanwhile, 30% of IT directors said their budgets would remain at their current levels. IT thought-leaders have, for some time, been obsessing over the move from on-premise data centers to cloud hosted environments – so this aspect of business may not seem to fit the notion of a trend. However, 2018 is the year that the transition of enterprise systems to external infrastructure providers is now upon us. 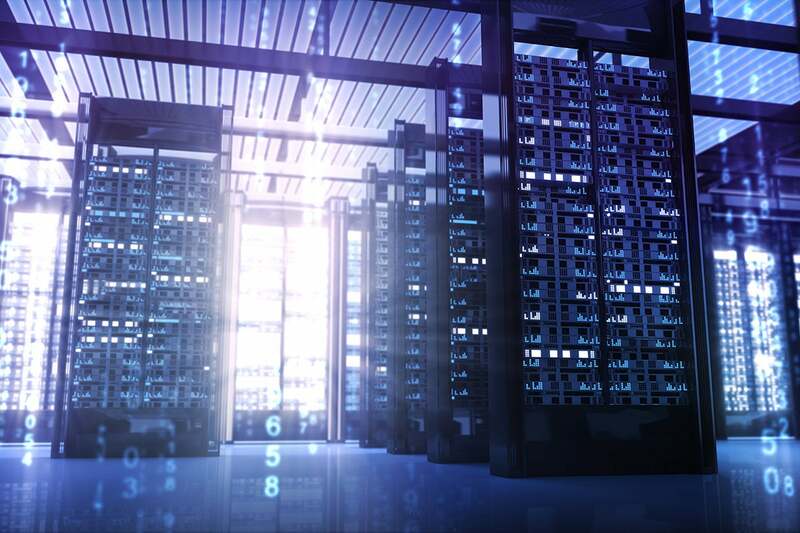 Credit Suisse senior equity analyst Sami Badri, who is responsible for monitoring the data center industry, noted that there was a huge change occurring in the structural framework that forms the basis of IT systems. "During this transition," he added (quoted in Data Center Frontier), "there is a lot of opportunity for colo providers to take on a lot of workloads." This evolution within infrastructure has been forecast by many parties for years, and numerous types of hosting services have grown incredibly. To return to the discussion of cloud above, it is interesting that 2016 was the year the revenue generated by cloud services became greater than the amount produced through sales of hardware and software to run cloud data centers; in 2017, cloud services were growing over three times faster than software and hardware for cloud servers. Enterprises are often slow to adopt technologies that are proving valuable to startups and other smaller entities; a more substantive conversion of enterprises to the cloud model was easy to see coming but has taken time. Expecting this increase in enterprise adoption is based on the figures from 2017, which showed a significant uptick in implementation within large organizations. Not all infrastructure trends will make sense for your data center or your business. However, awareness of the above trends will help you understand how other firms are developing their data centers and handling their workloads, so you can best position your organization for the future.